Learn Amp is a Learning and Engagement Platform improving your teams performance that helps to find, upload or create learning and track your teams progress. "Innovative New Learning Experience Platform "
Netflix style layout makes this LMS easy to use with no instructions needed. We had a seamless launch and couldn’t be happier. They’ve been able to tailor the system to our requirements and their development team have been able to make updates in hours or day. Definitely a system to consider if you’re looking for something that’s modern and user friendly. As a newer LEP they are building from the ground up. This means that some more advanced features of traditional LMS systems may not exist. However, as a more tailored solution they can build quickly to your needs and help you build something even better. Training across 20 offices globally. Automating compliance training. Allowing learner led development. "Great for companies, good for engaging communities/stakeholders too"
Our business runs a membership club for top entrepreneurs. Learn Amp was the perfect solution for us as we wanted to use it both internally for our team’s development and for sharing insights and knowledge with our membership. It’s a very intuitive and flexible system so we could use it's features effectively for both of these needs. One feature we might want for the community side is the ability for them to book in to events. However there are workarounds that make this possible and we know this is coming soon. Pushing thought leadership content to our network of members and using the tracking (who has clicked on what etc.) to improve our offering. Internally sharing best practice documents, reports, training etc. When I first joined my company I was taken through onboarding using Learn Amp and I was surprised at how easy and engaging it was to use. In the past I have used very outdated, clunky and ugly systems to do this type of thing, but I completed everything quickly and easily using Learn Amp. Nothing yet, I found it easy to use and engaging. The business wanted to help me understand what they do, their culture etc. via an onboarding experience. "The best host for e-learning content out there"
A very attractive and intuitive consumer-grade interface for the hosting and delivery of eLearning content. Simple to use from both an administrative perspective and a uniquely engaging delivery platform for any learner. One or two issues with the display of SCORM files at the outset but the Learn Amp team fixed this quickly and this is now no longer a problem. Working with client to develop user-centric learning content that motivates and encourages learner engagement. LearnAmp's ease of use combined with its app-like design means that both organisations and their talent can start benefiting immediately...with little to no training required. Very professional support with access to full functionality during the demo trial. The support team were very flexible, supportive and listened to the needs of our business. The platform is extremely easy to navigate, reporting functionality is excellent, good quality content and the price is very reasonable. * We monitor all Learn Amp reviews to prevent fraudulent reviews and keep review quality high. We do not post reviews by company employees or direct competitors. Validated reviews require the user to submit a screenshot of the product containing their user ID, in order to verify a user is an actual user of the product. Hi there! 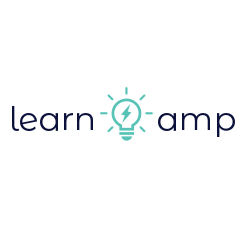 Are you looking to implement a solution like Learn Amp?